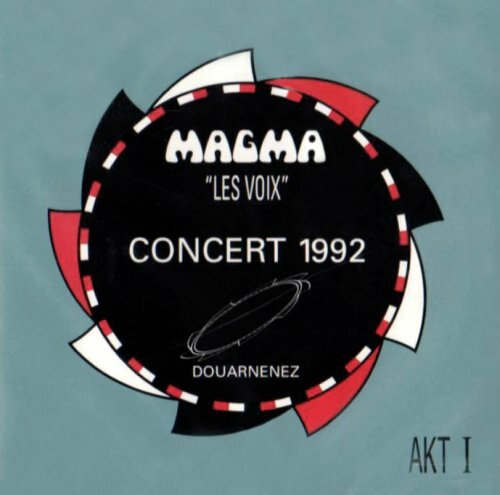 The music of MAGMA interpreted in acoustic performance by the band members of OFFERING – this was the idea behind LES VOIX DE MAGMA (The Voices of Magma), presented on the 2nd August 1992 at the “Jazz in the Bay” Festival at Douarnenez. Subtly re-arranged for 9 voices, double bass and keyboards, the themes underlying the Kobaian Universe here take on a new dimension. Full of power, captivating and lyrical, the absence of electricity takes nothing away from a repertoire which retains all its splendour. A fantastic success, but which at bottom is nothing amazing to those who understand that singing has always been the point of departure for MAGMA’s music.